The first time I saw Adam Ezra play live, he had a cold. I usually feel that a cold ought to keep a singer off the stage until it goes away, but Adam Ezra was somehow able to use it to his advantage; his voice was in tune if a little husky, and he told a few stories and poked some fun at his position. I was impressed with the way he handled that situation and, after finding out more information about him and his music, I discovered that he’s a pretty impressive guy himself: he spent time volunteering with relief efforts and various causes in different parts of the world, and he started a nonprofit organization that seeks to build community through coordinating musical events. Throughout all of it, Adam Ezra has kept his positive outlook and general good humor, as is evident on a recent video offering and can be seen in the way in which he interacts with fans. Knowing that a musician loves and is committed to the music always makes for a good performance, which you will be able to see at Infinity Hall on August 30. Opening for the Adam Ezra Group will be Torrington, CT singer/songwriter Sarah Barrios, who was the first winner of Infinity Hall’s Open Mic Big Stage Competition in May. 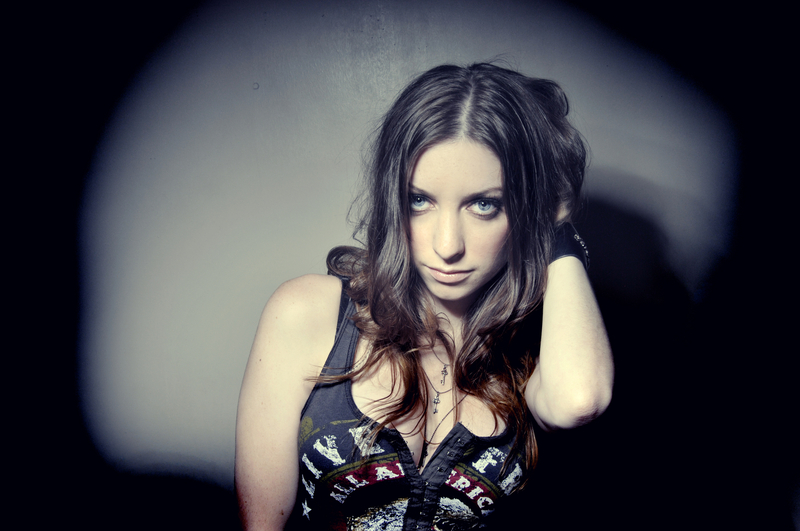 There are a bunch of reasons I like Sister Sparrow and the Dirty Birds. I like the fact that the band has a horn section (I think almost every band can and should benefit from a horn section). I think it’s great that several of the band’s members are either related or have known each other since childhood; I believe close relationships can make for a really tight sound. I think the band enjoys playing music and I can hear that in the energy of its tracks. What I like most about the band is its dedication to playing live. Sister Sparrow and the Dirty Birds purchased a new van last year and have logged over 70,000 miles in that time touring the U.S. and Canada, putting on over 150 shows. Playing live is, of course, the best way to communicate with music lovers and build a following, and it can serve to show and audience just how devoted the band is to its craft. Sister Sparrow and the Dirty Birds is a funky, soul-infused, young eight-piece that is known for its dynamic live shows. 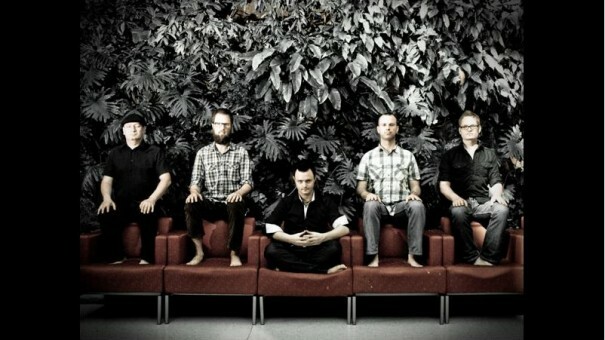 The band has been touring in support of its second album, released last year, and is about to drop a new EP in October. 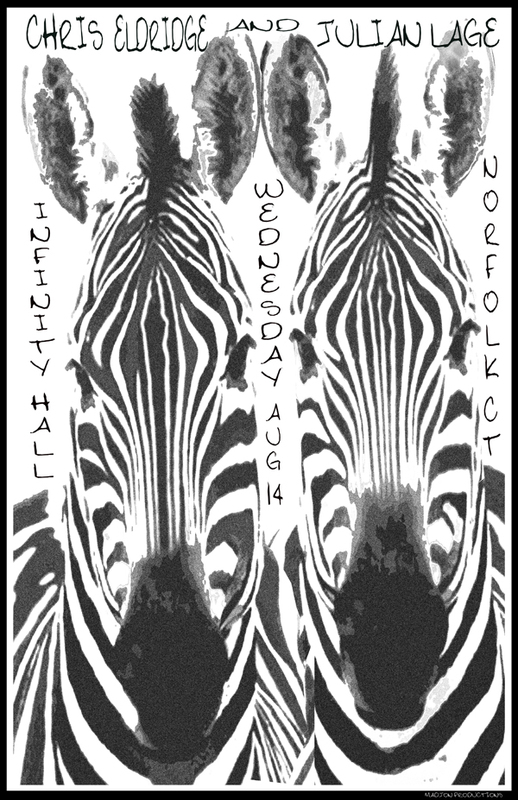 You can check out the band (and hear the magic of a solid horn section) at Infinity Hall on August 29. It took me long enough, but I finally got to a point where I appreciate jam band music. I’m not sure what my problem was, but I think I felt that there wasn’t really a point to it; I usually like a song to have verses and a bridge and a refrain and I wasn’t terribly comfortable veering out of that formula. However, as I’ve gotten older and my musical tastes have matured and I can count a large number of musicians among my friends, I now see the merit in playing music that meanders for a while and doesn’t end at a specific point. Jam music allows performers to feed off of each other and showcases each one’s specific talents and skills while creating something entirely different than what a listener might expect. 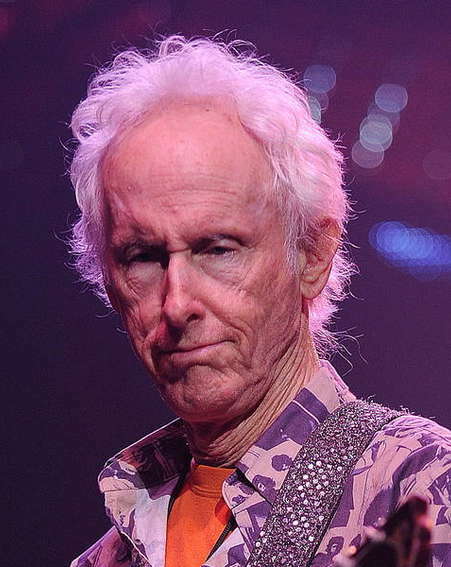 Guitarist Robby Krieger’s career with the Doors is well known and possibly legendary. His newest project, Robby Krieger’s Jam Kitchen, features Krieger joined by musicians who have played with Frank Zappa and others who have had similar lengthy and storied careers, and who all recognize that playing music for its own sake is what’s important. The band includes Doors and Zappa tunes in its set, but a good chunk of a performance is spent improvising and letting the music lead as opposed to stopping at an expected certain place. If you’d like to join in the exploration, you can do so at Infinity Hall on August 22. Within my music library exists a very large number of cover songs. I’m very picky about my cover songs, though, and I usually prefer them to be as different from the original versions as possible. I appreciate when an artist admires another musician’s work enough to want to personalize it, and I really like when the cover is unique enough to stand on its own. One song that I love to hear covered is the quintessential 80s New Wave tune “I Melt With You” by Modern English. I have more than several versions of this song in my library and each one is different; the genres include acoustic, punk rock, bossa nova, and lounge. The song lends itself brilliantly to each style and seems to always stand nicely in every way I’ve ever heard it played, though I think that’s more of a testament to the merit of the original song than it is to any new interpretations. Modern English has many other songs of course, but “I Melt With You” is the one that has had the biggest impact in this country. The band reformed several years ago with all of its original members, is currently touring the U.S., and is set to release a new album later this year. 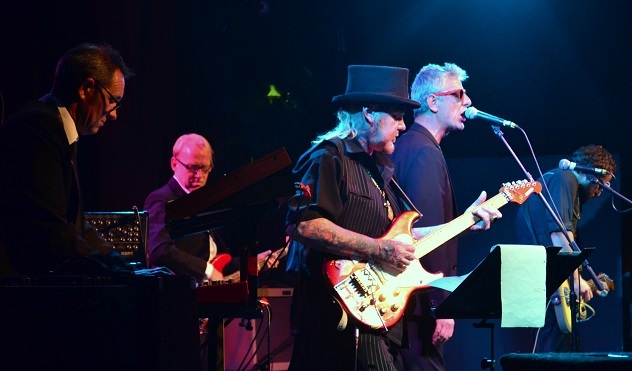 Modern English will play Infinity Hall on August 21. I’ve always thought of Ryan Montbleau as a jamband musician. I first learned about him seven years ago via a friend of mine who had a radio show that was devoted to the jam scene, and Ryan Montbleau plays a lot of festivals and shows that are related to and oriented around jamband music. I kind of assumed that was what he did and I didn’t think too hard about his style. 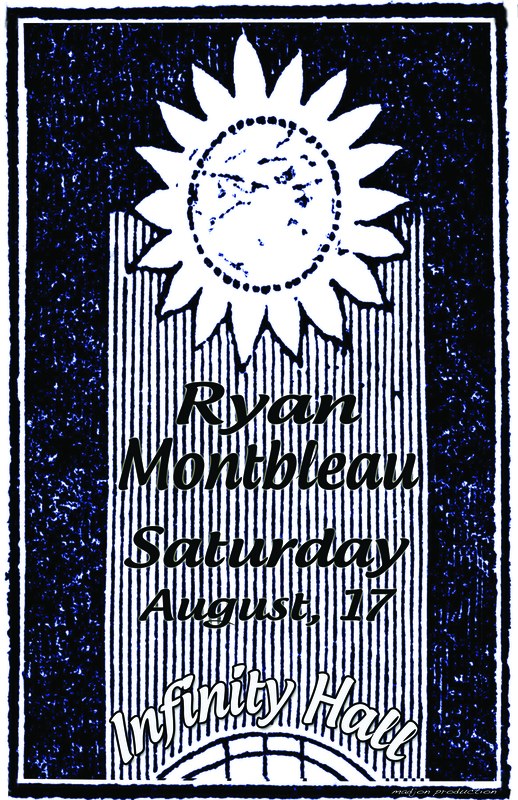 Last year Ryan Montbleau released an album called For Higher that he recorded in New Orleans. It features the talents of Anders Osborne, Ivan Neville, and George Porter, Jr., among others and includes covers of tunes by Bill Withers and Curtis Mayfield. I hadn’t expected this type of record from Ryan Montbleau; as I said, I managed to unfairly pigeon-hole him into one genre and, for some reason, it didn’t occur to me that he might be more versatile than I had considered. The album is great, by the way. Ryan Montbleau’s voice is quite well suited for soul music and the addition of some major funk/soul players adds to the credibility of this foray. My affinity for this record coupled with the fact that I have never seen him live has convinced me that I really ought to; you can, too, when the Ryan Montbleau Band plays Infinity Hall on August 17. There is something about rainy summer afternoons that renders me thoughtful and brooding and, on those days, I often choose to listen to music that seems to match the weather; I am much more likely to choose gentler acoustic fare over my normal diet of loud alternative rock. The music of guitarists Chris Eldridge and Julian Lage fit perfectly into my most recent rainy day mood. Chris Eldridge, known for his bluegrass work with Punch Brothers, and modern jazz guitarist Julian Lage recently teamed up and are beginning to tour. They just released an EP and the songs on it are a mesh of both of their styles; they seem to have easily adapted to one another’s genres. Their work together is part composition and part improvisation, melding their different backgrounds into an approachable and melodic result. Talented acoustic guitarists are not meant only for a rainy day, of course, but sometimes an outside influence is helpful in steering me toward new music. Chris Eldridge and Julian Lage will bring their bluegrass- and jazz-influenced work to Infinity Hall on August 14 in a performance that’s sure to be appealing regardless of the weather. This band, which only plays John Lennon’s music (Beatles & solo years), is way more than a tribute band. 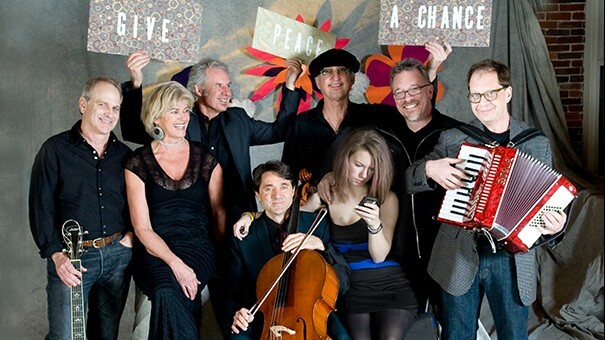 The 8 piece ensemble comes up with thoughtfully re-imagined treatments of Lennon’s music, making his classic songs sound new again. Their energy is infectious, and they’ll send you off dancing! 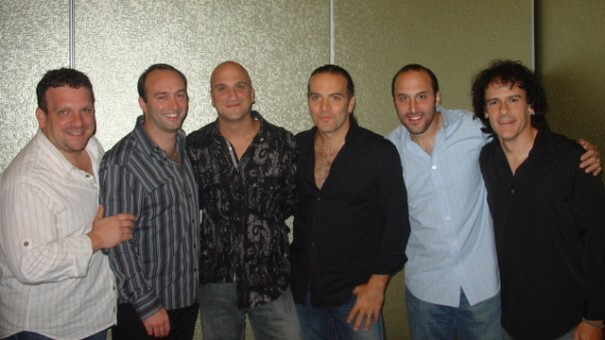 BIG SHOT is fronted by the amazing vocals of Singer/Songwriter and Piano Man, Michael DelGuidice. The act is comprised of six world class Long Island and NYC musicians. The Infinity stage will be filled with mandolins, accordions, trumpets, fiddles, bagpipes, harmonicas, and a roots-rock rhythm section. With the current rise in popularity of Americana and roots music, Enter the Haggis will appeal to music fans whether they prefer Led Zeppelin or The Decemberists! 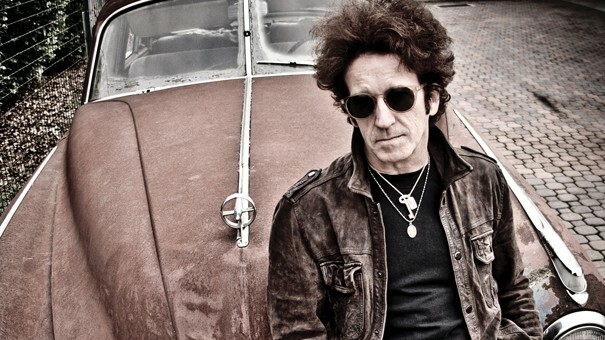 Anyone who’s paid attention to his recent output knows that Willie Nile is currently in the midst of a creative renaissance that’s produced some of the most compelling music of his 35-year career. The tradition continues with his forthcoming American Ride. 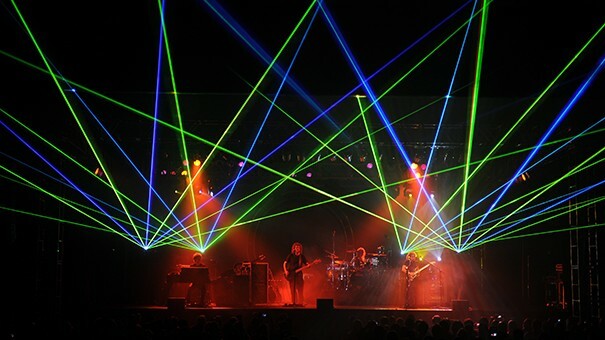 America’s premier Pink Floyd show, has forged a 20 year reputation of excellence, extending the legacy of Pink Floyd, while creating another legacy all their own. Over the years, The Machine has touched the hearts and souls of many, selling out large clubs and theaters across North and Central America, Europe and Asia.